This species is accepted, and its native range is Brazil to Bolivia. Sideroxylon gardnerianum var. gnaphaloclados (Mart.) Miq. Sideroxylon gardnerianum var. parvifolium A.DC. 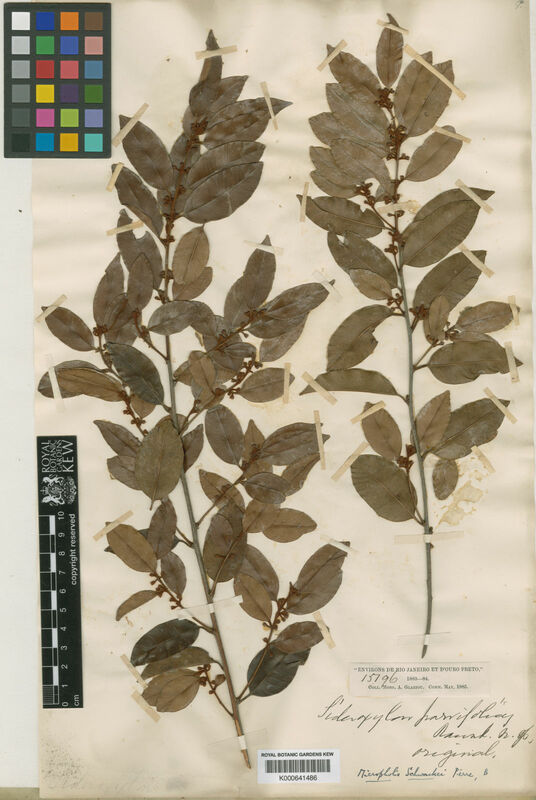 Sideroxylon parvifolium (A.DC.) Raunk. ex Warm. Govaerts, R., Frodin, D.G. & Pennington, D. (2001 publ. 2002). World Checklist and Bibliography of Sapotaceae: 1-364. The Board of Trustees of the Royal Botanic Gardens, Kew.